meeeh.. i don't have that much reference baisis thing when it comes to that kind of music. 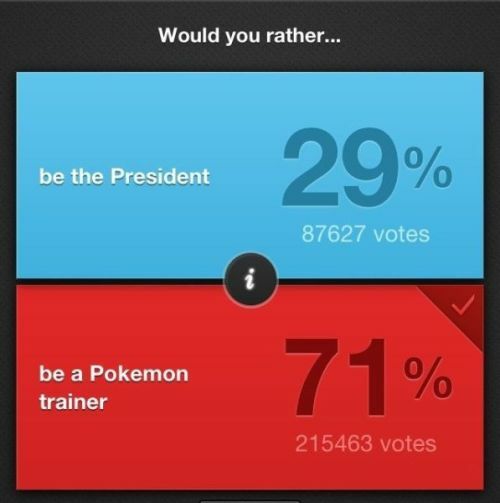 good to see our priorities are in order. "Animals can be jerks" vid.......Love the kitten riding the tortoise ! love cats ! Amarie, love that one !! Im almost tempted to go into our local library & try & do some of that, then sit around with a book to see if anyone notices ! I love pranks like that ! Glaswegian putting a caveat on a list of reasons Glasgow is a great city on a documentary I was watching - 'But it can be a wee bit stabby." That's a very Glaswegian way of putting it! Anything that's prefaced by the phrase "a wee bit" can't be that bad. It sounds so cute! It seems to be a rather imprecise term. Glasgow is the only place I know which uses the term 'friendly stabbing'. I was just settling in to watch a movie broadcast on the telly when the following notice came on: "This movie has been edited from its original content in order to fit in more commercials." I got really excited about getting to see Children of Men once when I found and DVRed it. I got like 10 minutes in and was really digging it, and then the first commercial break came on. Turned the movie off right then and there so I can watch the whole thing properly some time. O_O omg.. u did what? i totally understand, it's a really good movie but.. I'd rather see the movie as its intended to be presented, especially the first time I watch it. Movies that have commercial breaks almost always have scenes cut out in order to make room for the ads. Agreed. Pat Garret and Billy the Kid and Once upon a time in America are good examples of films that should be watched as they were intented to be presented. Both great movies, but raped by those who felt they were too long or weren't fit for the theatres in their original forms. I cant imagine watching Once Upon a Time in America with ads It would probably get to the first ad-break before it got to any dialogue.